Manufacturer and exporter of all types of homeopathic and bio- chemics medicines, dilutions, bio- chemics tablets, bio- combinations tablets, homoeopathic titrations, homoeopathic cattles medicines and homoeopathic syrups etc. Compositions : Ashwagandha Q , Alfalfa Q , Avena Sativa Q . Sterculia Q , Aspergus Q , China Q . Indication : A complete restrorative and energetic tonic for physical and mental health, which may be taken by the children over five years, adults and old persons without any complication. It also restrict the alcoholism. Dosage : 2 teaspoon full before meal or as directed by the physician. Packing : 120 ml. 200 ml. 450 ml. Indication: It is a powerful composition to meet with gynecological and obstetrical problems of a female. It cure dysmenorrhoea, fibroids, leucorrhoea and strengthen uterus, ovaries & pregnancy. Femovit may be used from puberty to menopause without hesitation. Dosage: 10ml. Two times in a day or as directed by the physician. Packing: 225 ml. 450 ml. Compositions : Chelidonium Q, Carduus M Q, Kalmegh Q, Boerhaavia D. Q, Leptendra Q, Natrum Sulph 6x. Indication: It have natural ingredient which are already proved their power in the restoration of live, spleen & stomach. 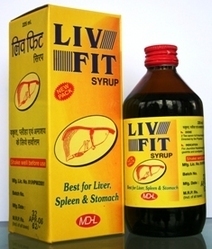 It is best for disorders of liver like Jaundice, Hepatomegaly, Spleenomegaly, Fatty liver, liver abscess etc. Its also cures the bad effects of alcohol like constipation, gastritis, coryza & vomiting. Packing: 120 ml. 225 ml. 450 ml. Compositions : Justicia Q, Amloki Q, Zingiber Q, Solanum Xanth Q, Turmeric Q. Indication: A powerful expectorant has efficiency to strengthen the respiratory organs. 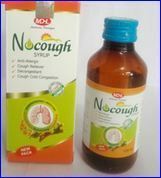 It cure bronchitis, asthma, congestion of chest, cold coryza, sore throat & all type of cough. Dosage: One tea spoonful twice daily. or as diretced by physician. Packing: 120 ml. 450 ml. Compositions : Calc Phos 6x, Ferrum Phos 6x, Kali Phos 6x, Mag Phos 6x, Chamomilla Q, China Q,Alfalfa Q, Honey. 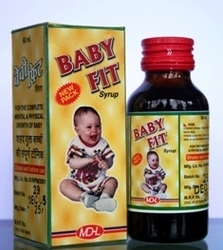 Indication: A honey based baby tonic best for infants & children upto the age of five years. Baby Fit is helpful for complete mental and physical growth of baby, controls teething problems, intestinal disorders, cough and cold. Dosage: Children: One Tea Spoonful twice daily. Infants: Half Tea Spoonful twice daily. Or As directed by physician. Compositions : Equisetum 1x, Verbascum 1x, Kreosotum 1x, Kali Phos 3x. Indication: This syrup is specially composed for the treatment of bed wetting as well as involuntary dribbling of urine in both children and adults. Dosage: Children: One Tea Spoonful at bed time. Adult: Two Tea Spoonful at morning and bed time or As directed by physician. Packing: 60 ml. 120 ml. Compositions: Cup Ox Nig 3x, Cina Q, Santonine 3x, Natrum Phos 6x, Chenopodium Q, Teucrium M V Q, Filix Mas Q. 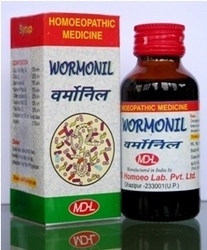 Indication: Wormonil is a totally safe and advisable wormicide use full for the eradication of all types of worms like ascaris, pin worm, tape worms, hook worm etc. It also cures the symptoms raised by worms like colic, diarrhea, nausea, vomiting, crying moaning, nose picking & grinding of teeth in a child etc. Dosage: One tea spoonful two times in a day or as directed by the physician. Packing : 30 ml & 60 ml. Compositions : Anacardium Or. Q, Carica P Q, China Off Q, Colocynthis Q, Hydrastis Can Q, Lycopodium Q, Nux Vomica Q. 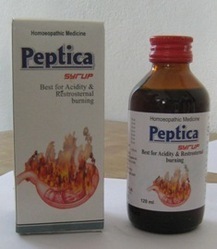 Indication: For indigestion, Acidity, Constipation, Peptic ulcer, Loss of Appetite etc. Dosage: Two teaspoonful three times in a day or as directed by the physician. Packing: 60 ml. 120 ml. 450 ml. Compositions : Hecla Lava, Azadirachta, Achyranthes, Calendula, Menthol, Oleum Cariophylum, Mangifera Indica, Calc Phos, Calcium Carbonate, Mag Carb. Indication: Quick in action, best freshener of the mouth, acts wonderfully on the hypersensitive teeth, stops decaying, fights successfully with pyorrhea, checks bleeding, stiffenes gum. A daily usable dentifire. Direction for use: Rub gently on the Gums & Teeth, leave it for 5 minutes then wash or as directed by the physician. 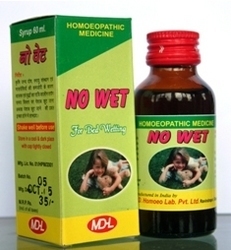 Indication: Deep & long acting homoeo remedies combined in a tablet form. It acts effectively & permanently in all types of rheumatic pain, Sciatica, Arthritis, Gout, chronic myalgia and soreness of muscles etc. Dosage: Three tablets four times in a day or as directed by the physician. Our dilutions and manufactured from Hapco, Kolkata's back potencies and superior quality extra neutral alcohol (ENA) being used with the help of computerized peristaltic pump automatic potentizer and accupipet with micro tips particular for all potencies of all remedies for accurate and contamination free very High esteem performance. Our Bio-chemic & Bio-combinations medicines are manufactured from LR grade chemicals of E-Merck and quality imported lactose of HMS. We produce well integrated, quick dilutable tablets under deep lab testing. Our Mother Tinctures are manufactured from original and well tested herbs prepared according to the Indian & American Homoeopathic Pharmocopoeias under continued care with the help of well qualified team of technical experts and letest testing equipments. Our mother tinctures are dubble filered for perfection. We also produced Homoeopathic potentized drops and calcium syrup for pet animals. It's more effective and harmless for animals. Indication: A Tonic for all ages. It’s best for mental & Physical growth, weight loss, Anemia, Anorexia, old age & efficient during pregnancy. Dosage: Two teaspoonful two or three times daily or as directed by the physician. Packing : 120 ml, 250 ml, 450 ml. Compositions : Gentiana Chirata Q, Andrographis Pan Q, Tinospora C Q, Ocimum Sanctum Q, Atista Indica Q, Nyctanthes Arbortristis Q. Indication:- A Safe antipyretic for all types of fever, acute or chronic. Dosage: 1 Teaspoonful four times in a day or as directed by the physician. Packing: 60 ml. 450 ml. Compositions ; Mullen Oil, Ocimum Sanc. Q, Hydrastis Can. Q, Carbolic Acid Q, Glycerin, Aqua Dist. Indication : A very useful ear drops for Otalgia, Tinitus, Otorrhoea, ear waxes, abscess, deafness etc Its eradicate, waxes and fungus from the ear and stop fetid discharged from the ear and relief in pain. Direction : Four drops two times in a day or as directed by the physician. Compositions : Aloes, , Camphor, Menthol, Belladonna, Eucalyptus. Indication : A balm packed with a lot of Homoeo herbal remedies sharply & harmlessly effective as external application for common cold, nose block, headache congestion of air passages & chest etc. Dosage : Apply 2 to 3 times on chest, nose, face, neck etc affected part of body or as directed by the physician. Compositions: Calotropis G 3x, Thyroidinum 3x, Phytolacca Berry 3x, Lycopus V 3x, Fucus V 3x, Gymnema S. 3x. Indication: To make convenient to take easily along with low weight drops we made obenil tab for the control of extra weight gain steadily and permanently by using flesh stiffening & fat dissolving remedies. Dosage: Two tablets three times in a day or as directed by the physician. Indication: Gastritis, Peptic, Ulcer, Hyperacidity, Indigestion, Tympanitis, Belching, Flatulent, Colic etc are fields of action of this tablet. Direction of use: Two tablets four times in a day or as directed by the physician. Indication: A programmed combination of some homoeopathic remedies, which proved exhilarate the physical as well as mental growth of a person in his growing age. Its stimulates the muscular activity in scrofulous children especially if may are dwarf. Dosage: Three tablets two times in a day or as directed by the physician. Indication : A external massage oil packed with wonderful homoeopathic remedies useful for pain of arthritis, sciatica, paralysis, lumbago, blunt injuries, fractures etc. Dosage : Apply gently on the affected parts of the body at the time of pain or as directed by the physician. Packing : 50ml. 100 ml. Indication: A ointment with real value of its name cures pracks and eczema by its great antifungal action. It soften the hared skin and cures moist, blackies spot, pimples and eczematous cracks also. Directions. For use: Apply two times on a day on affected parts of body or as directed by physician. 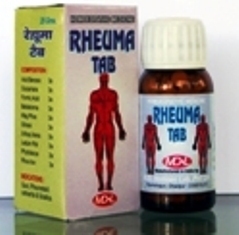 Indication: It is best medicine for leucoderma, loss of pigments, rough & cracked skin etc. Dosage: Tow tablets four times in a day or as directed by the physician.